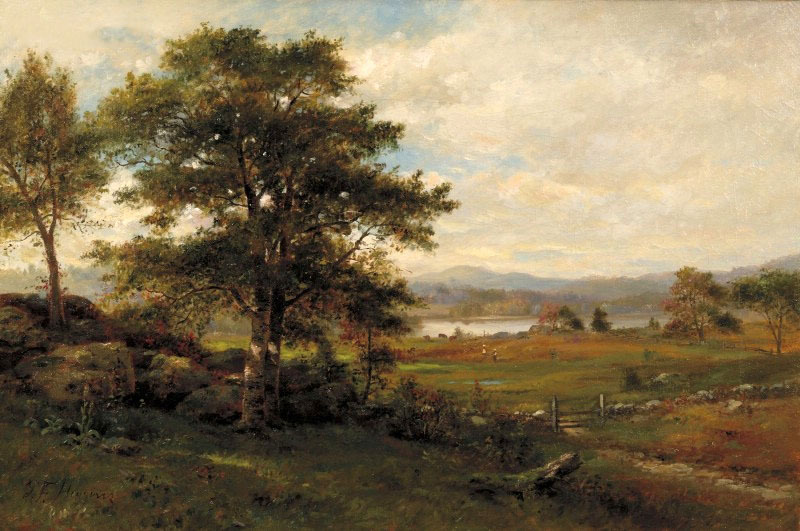 View of Wachusett from Harvard, undated, oil on canvas by American painter George Frank Higgins (1850–1885). Twenty-five-year-old Henry David Thoreau had been writing essays and poems for half a decade and had published a few pieces in The Dial, the small journal edited by Margaret Fuller. Yet, at the start of 1823, he had not yet earned a penny from his writing. One might expect, then, that “A Walk to Wachusett” was “a triumph of sorts for Thoreau,” as historian Robert Kuhn McGregor suggests. It was to be “the first sustained essay for which he received monetary payment—except that the Boston Miscellany never paid him.” Alas, the short-lived Boston magazine “of Literature and Fashion” folded after the very next issue. Standest alone without society. . . .
Margaret Fuller rejected a subsequent version of this poem when Thoreau submitted it to The Dial. She leveled overall criticisms (“Thought lies too detached, truth is seen too much in detail”) and made suggestions for revision, although she did offer several encouraging comments. 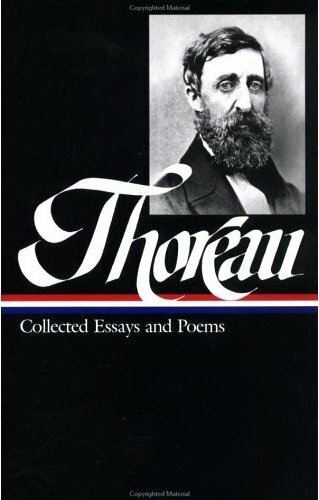 “Its merits to me are, a noble recognition of nature, two or three manly thoughts, and, in one place, a plaintive music.” A later version of the poem takes up most of the first three pages of his Mount Wachusett travel essay, and Thoreau would again revise and expand the poem for inclusion in his first book, A Week on the Concord and Merrimack Rivers (1849). Mr. Thoreau dined with us yesterday. He is a singular character—a young man with much of wild original nature still remaining in him; and so far as he is sophisticated, it is in a way and method of his own. He is as ugly as sin, long-nosed, queer-mouthed, and with uncouth and somewhat rustic, although courteous manners, corresponding very well with such an exterior. But his ugliness is of an honest and agreeable fashion, and becomes him much better than beauty. . . . [For] two or three years back, he has repudiated all regular modes of getting a living, and seems inclined to lead a sort of Indian life among civilized men—an Indian life, I mean, as respects the absence of any systematic effort for a livelihood. . . . Mr. Thoreau is a keen and delicate observer of nature—a genuine observer—which, I suspect, is almost as rare a character as even an original poet; and Nature, in return for his love, seems to adopt him as her especial child, and shows him secrets which few others are allowed to witness. The lines of poetry on page 47 are all from William Collins’s poem, “Hassan; or the Camel-Driver” (1742), while the excerpt in the middle of page 50 is from Wordsworth’s Peter Bell (1798). Helvellyn is a mountain in the Lake District in England. The poem at the bottom of page 50 is Thoreau’s own composition. On page 51, Thoreau quotes the last two lines of Virgil’s first eclogue. Summer and winter our eyes had rested on the dim outline of the mountains, to which distance and indistinctness lent a grandeur not their own, so that they served equally to interpret all the allusions of poets and travelers. . . . If you don't see the full selection below, click here (PDF) or click here (Google Docs) to read it—free!